NOTE: This post originally appeared in the Huffington Post. As a boy, I remember reciting the Pledge of Allegiance with my first grade class. We said it in unison; we stood together; and over time we came to understand what it meant. As I got older, I would listen to the recorded voice of a young President at his Inaugural, who summoned a generation to think less of themselves and more of their country. Fourteen years ago on this day, I found myself in a bunker below The White House after 19 terrorists hijacked four jetliners and turned them against the American people. In the face of four decades of decline in our civic habits -- community volunteering, joining voluntary associations, attending church and public meetings, giving to charities, and having trust in one another and key institutions -- Americans after 9/11 reset their civic sights, and for at least four years following, increased those habits to help one another and serve one another. Volunteering rates rose every year from 2001 to 2005 and opportunities for Americans to serve in AmeriCorps, Peace Corps, Senior Corps and a new Citizen Corps for disaster response all grew significantly by the end of that same period. We looked at one another differently, saw our better selves, and felt like one nation. But our country stands at a crossroads yet again. Levels of social and institutional trust are at their lowest levels in a generation. Communities all across America are fraying, with spikes in violence, distrust of authority, and tensions among people of different backgrounds. A leading social scientist just warned that for the first time in history, "have not" children will not do better than their parents, as our opportunity society continues to wither and leave too many Americans behind. War and tragedy have always brought us together as a people, but we need more regular experiences that foster the understanding that we are in a common enterprise. When the Founders penned the inalienable right to the pursuit of happiness, they weren't just talking about an individual right, but a common undertaking that we help one another to achieve. Younger and older Americans alike lack shared experiences to give back to their country, build trust, and help each other climb the ladders of mobility. Paying taxes is required, voting spotty, and jury duty rare for most of us. We have an easy citizenship and have waged wars in the last decade with less than one percent of our population serving in the military. In the face of these facts, General Stanley McChrystal, Chair of the Franklin Project at the Aspen Institute, has called for large-scale civilian national service. Young men and women from across the United States and from every income level, race, ethnicity and educational background would spend one year of their lives working side by side. They would tutor and mentor children in low performing schools and lower dropout rates; they would clean up rivers and parks and create a generation of conservation stewards; and they would help veterans re-integrate back home and return to college and find jobs. But they would also learn the habits of citizenship, understand more about what unites us instead of what divides us, and seek opportunities throughout their lives to bring more Americans together to solve problems in our neighborhoods and nation. A Baby Boomer Generation worries it is leaving the country in worse shape than they inherited it and wants to give back through their service. Instead of seeing them languish into an aging purposefulness, we could tap their lifetimes of experience and talents to serve their country. As we reflect on this sad day in American history, where so many lives were needlessly lost, we must also remember that the nation reached deep inside itself and found the best elements of humanity. In his book, American Ground: The Unbuilding of the World Trade Center, William Langewiesche noted that after 9/11, a "reversal soon occurred by which people began moving toward the disaster rather than away from it. The reaction was largely spontaneous and cut across the city's class lines as [people] of all backgrounds tried to respond." He noted that there was such an outpouring of equipment, supplies and help that a trucking operation was set up to haul the excess of American compassion away. We need that same sense of caring for and serving one another in daily life, not just in the aftermath of tragedies. We need to remind ourselves of our pledge -- "one Nation, under God, indivisible, with liberty and justice for all" -- and to have service experiences early enough in and throughout our lives that remind us that we are truly one nation. 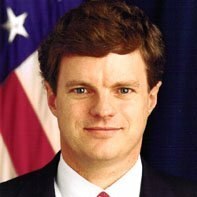 John Bridgeland was Director of the White House Domestic Policy Council on 9/11 and is Co-Chair of the Franklin Project at The Aspen Institute, which is working to make a year of national service a common expectation and opportunity for all 18-28 year olds.